I've been sitting on this one for a while. Waiting to remember to download the pictures from my phone. And then remembering to write up the blog post about it. Well, it is finally time! The stars have aligned. Rivers are running uphill. Cows are giving birth to two-headed calves. Snakes are emerging from the rocks. Got carried away there for a moment. I remembered the pictures I had and finally got the post written. Not really world-shaking or universe-changing events. 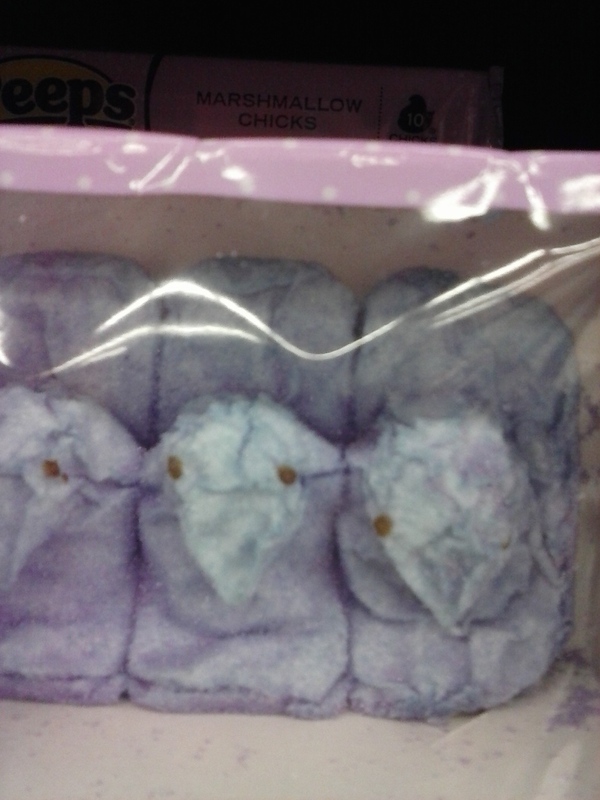 Purple peeps. 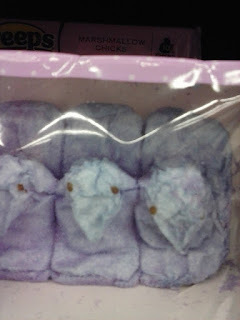 But wait, not just purple peeps, but DISEASED purple peeps. Seriously. Would YOU eat those? We don't eat peeps as a general rule at my house, we use them for microwave jousting tournaments or to start flaming marshmallow wars or as catapult ammunition. But I don't think I'd even do that with these. Yes, I know it's Marshmallow Collapse Disorder most likely caused by change in air pressure during shipping. But do you know that MCD is the MOST-FEARED CAUSE OF PEEP DISABILITY? Whole flocks of peeps cower in fear when the name is even whispered in their vicinity. 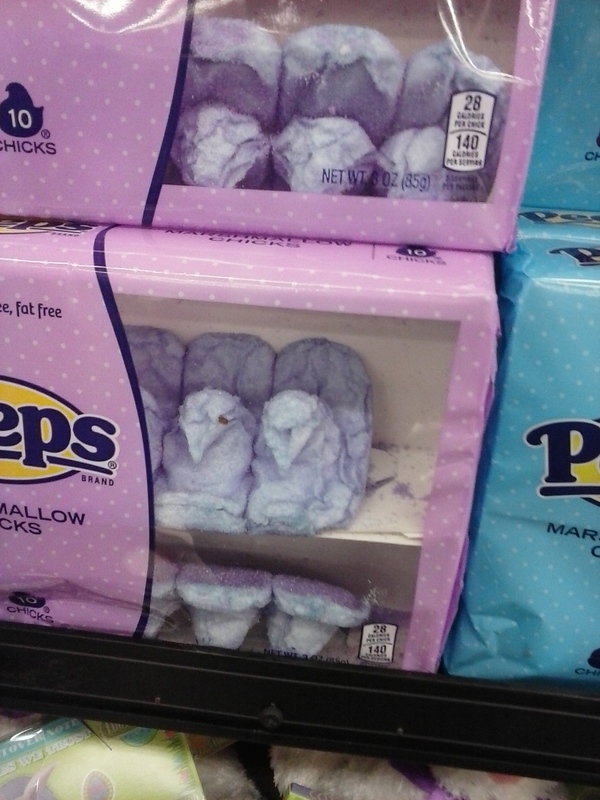 Puffy, wholesome peeps could be reduced to these shriveled, withered shades of their former selves in just moments when MCD is around. Fear it. MCD - are YOUR marshmallow birds afflicted? Eat them now, before it destroys all peeps everywhere!